First responders must have a soft spot for fur. 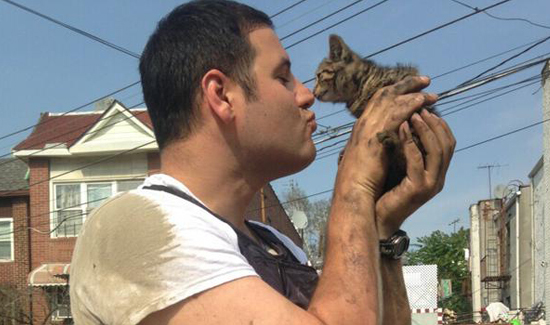 A kitten trapped in a construction fence and a cat stuck in an engine block were all rescued by kindhearted NYPD cops. Police Officer John Passarella freed a small cat trapped in the engine block of a minivan on Brighton 4th St. in Brighton Beach earlier this month. “One of the cops at the scene calls me and said ‘You have experience getting cats out of trees. Can you get a cat out a car?’ ” said Passarella, who also works as a volunteer firefighter. The cat, named Pazzy, was taken in by the son of a fellow cop and is expected to be put up for adoption, Passarella said.